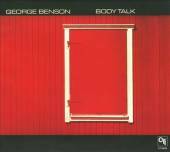 "Body Talk" is a 1973 studio album by American guitarist George Benson, released on CTI Records. Album produced by Creed Taylor. The albums laminated hinged cover is in excellent condition, displaying only minimal signs of wear. The album cover has a strong undamaged hinge and spine, displaying clear printed script.